National Women in Business week is October 16-20. There will be networking and consulting opportunities going on throughout the week. 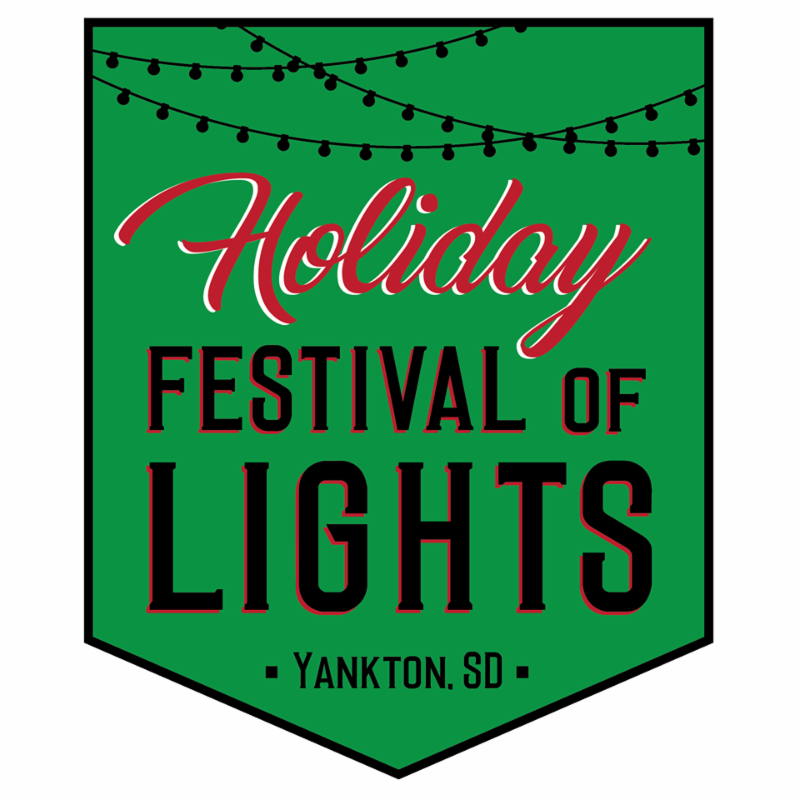 The Chamber of Commerce and the Sandbox are partnering on this week-long, first-time event. Running a business can often be full of struggle. We struggle to find time to meet deadlines, to plan, to get to bed at a decent hour – we even struggle to find time for ourselves. Get ready for a revelation: we create most of the struggle in our lives. We all have different “Struggle Strategies” that we unknowingly use in our lives and businesses that might be making things more difficult. Take a look at some of the different Struggle Strategies below. Choose which one is making things harder on you and make a change. Timing – One of the biggest causes of struggle in our lives is that we want what we want when we want it. Things do not always come in the time frame we prefer, but stay focused on what you want and keep working at it. 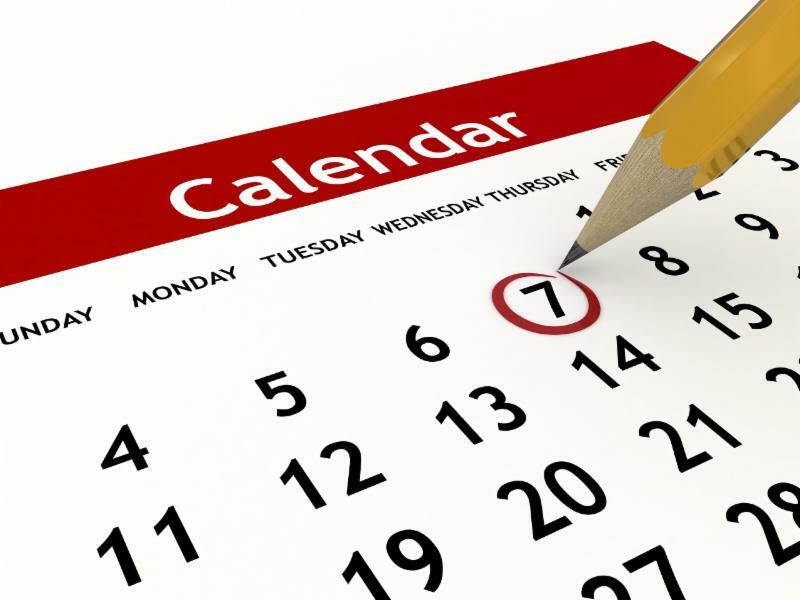 Remember the old adage – better late than never! Expectations – We often expect ourselves and others to get so much done—so quickly, or to complete everything perfectly. Recognize that you and everyone else may make mistakes and that other people will not always do things the way you would do them. Know that the world will not always act according to your predetermined script – embrace this idea and you will be a lot happier every day. No Fun – Sure, you might take a vacation or two throughout the year. But that is not enough. Life is a lot better when you are having some fun every day. Find a short period of time daily to have a great time – have lunch by the lake, spend twenty minutes with your favorite novel, enjoy a dance around your living room. Enjoy yourself. If you don’t, no one else will. Envy – You will turn green thinking about what everyone else has, how easy they seem to have come by it, or how everything just seems to fall into their lap. When you see all the success and prosperity in other people’s lives, take it as an affirmation that the world is abundant and there are plenty of good things coming your way. Then put your attention back on your life and creating what you want. Recognize which Struggle Strategy you are currently using and replace it with strategies that support you to soar. 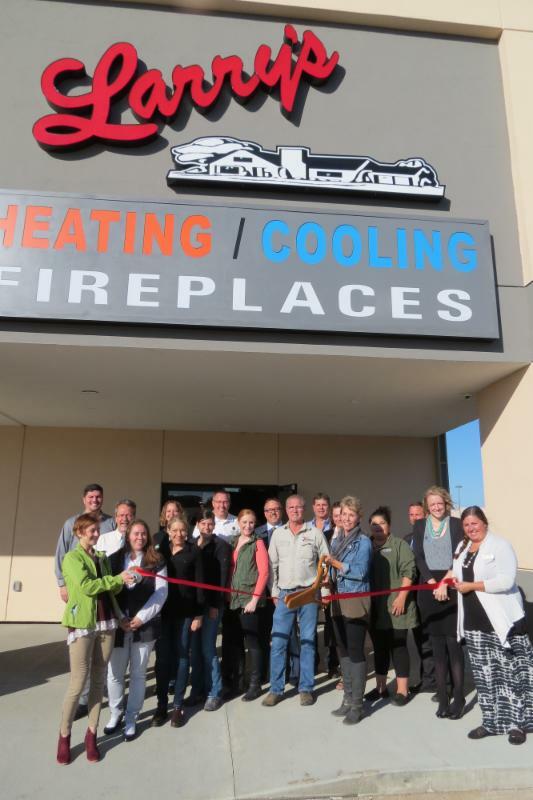 Larry's Heating and Cooling held their relocation ribbon cutting Thursday, October 12 in their new location at 2401 Broadway Ave., Ste. 3. Larry's has a full showroom of s Kozy heat gas fireplaces, as well as the stone to finish off the installation. They install and service residential and commercial heating and cooling systems. Congratulations Larry, Peggy and your team at Larry's Heating & Cooling! 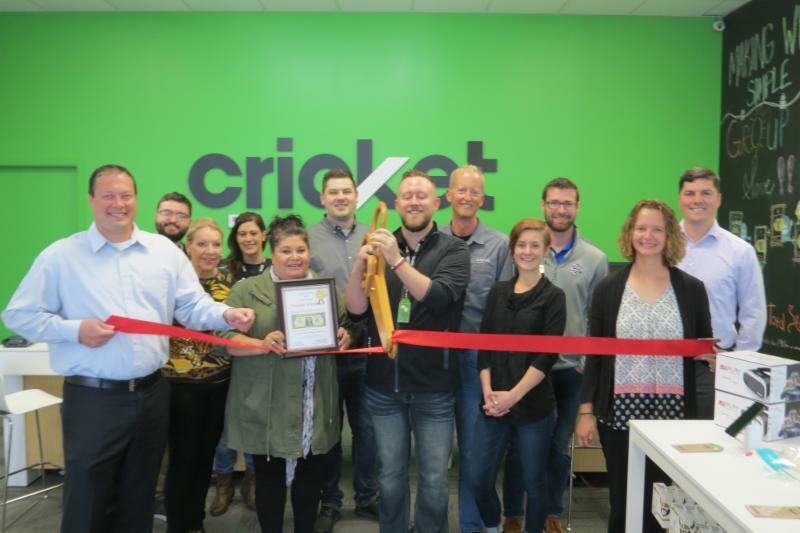 Cricket Wireless held their ribbon cutting on Friday, October 13 at their new location, 3013 Broadway, Ste. 2. Cricket is a Wireless provider offering prepaid mobile phones, coverage plans & a range of accessories. Stop in and congratulate Beau and his staff on their new adventure! 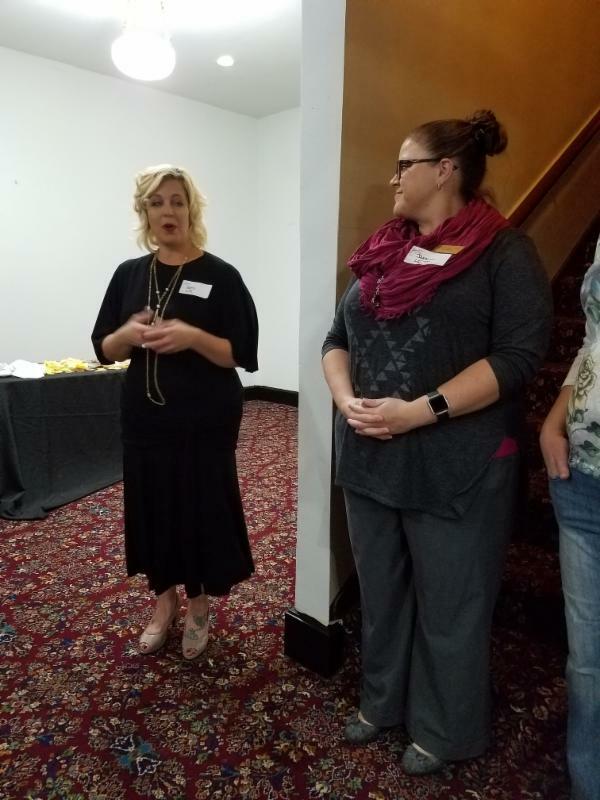 Tours, good food and drink, dress-up and strike a pose were just a few activities at the October Chamber Mixer held at the Lewis & Clark Theatre on Tuesday, October 10. 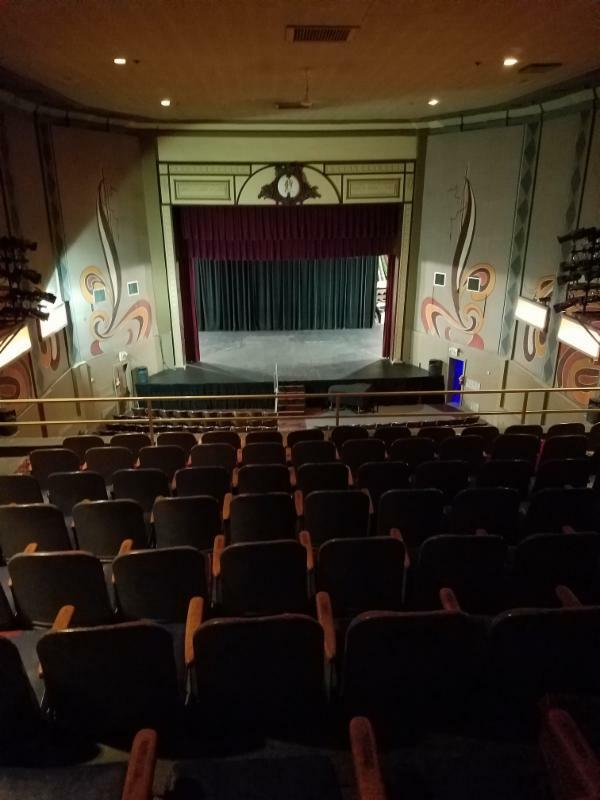 Willa B's and Cricket Wireless co-hosted the event with the theatre. 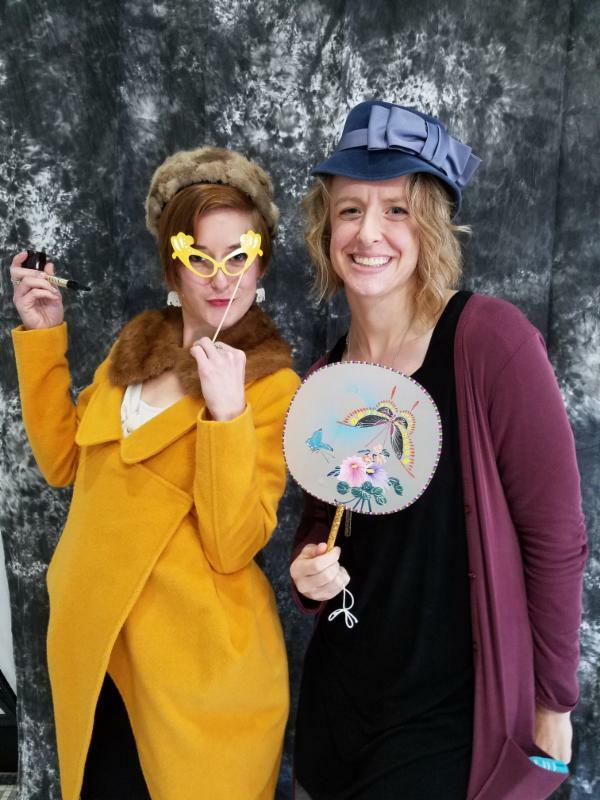 Attendees were invited to don hats, clothing, glasses and have their pictures taken at the photo booth. Tours of the facility were given. Guests were able to see the dressing rooms, costume rooms and future orchestra pit. 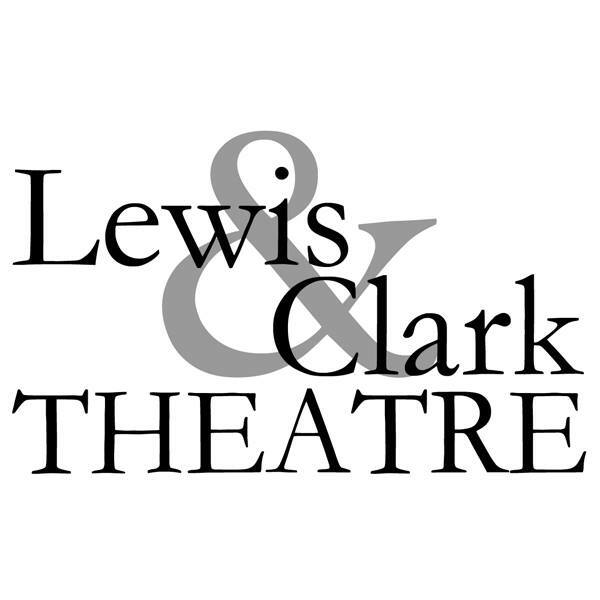 Thanks to the team at Lewis & Clark Theatre for an entertaining evening. Manufacturing Week was recognized October 2-6 with local manufacturers hosting tours and open houses for the public. 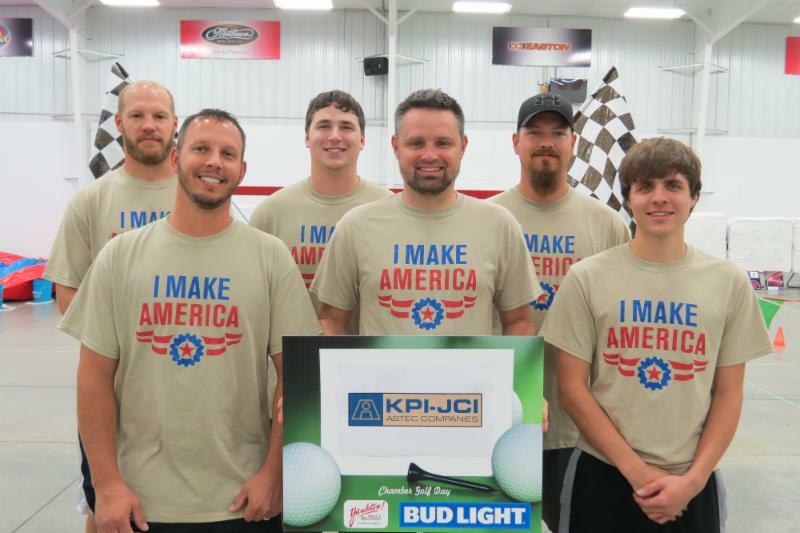 The week capped off with the annual Manufacturing Olympics. 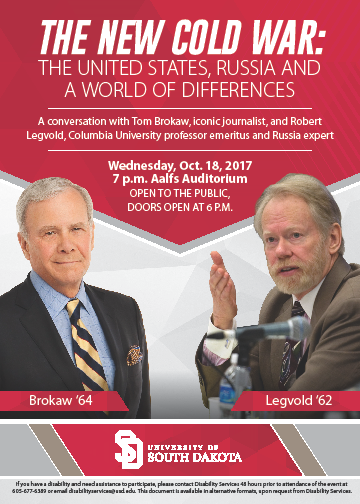 Due to the inclimate weather, the event was moved to the NFAA. 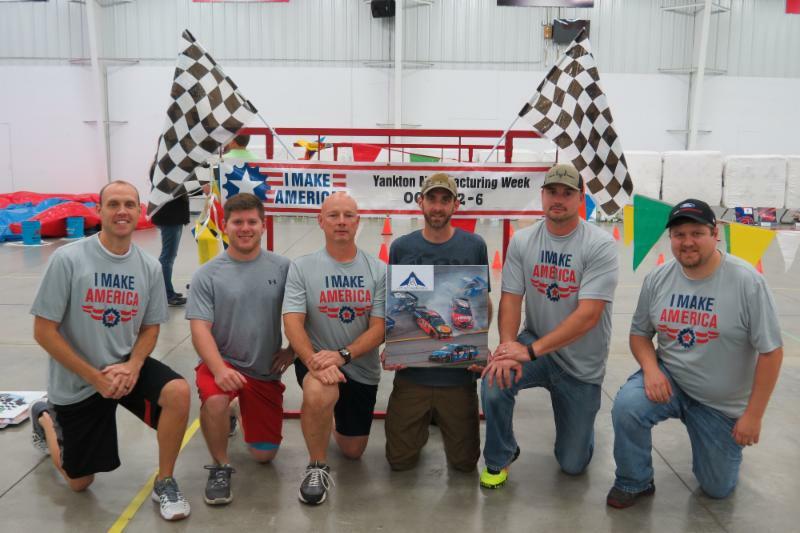 Kolberg-Pioneer Team 1 took first place during the afternoon event held at the NFAA. 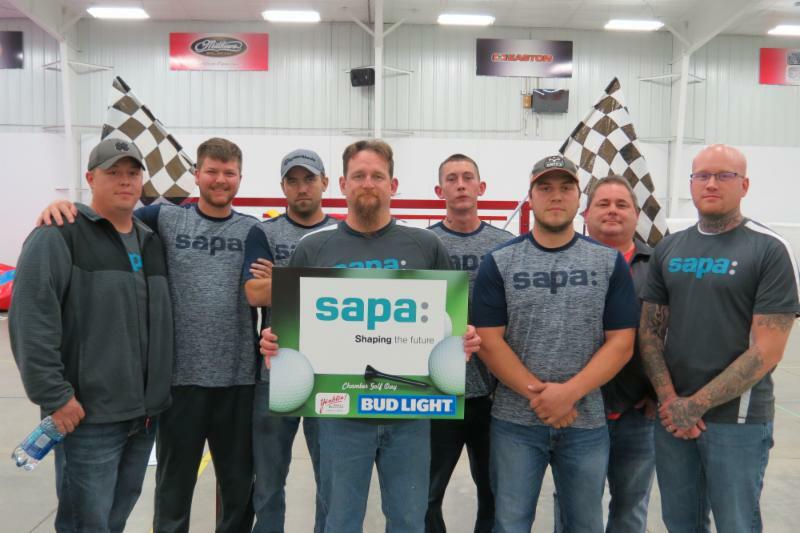 Sapa and Applied Engineering Team 2 took 2nd and 3rd places respectively. The teams competed in six games including a wheelbarrow relay where one teammate was blindfolded and pushed in a wheelbarrow, stopping to place a tennis ball on an orange cone. 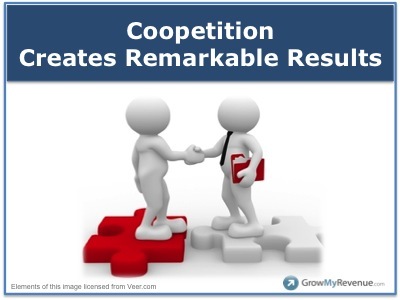 Other competitions included: archery, transferring balls from bucket to bucket using ropes, navigating a tire around cones using two sticks and squishing a ball between two teammates without the use of hands through an obstacle course. Wipeout challenged teammates to cross four balls without falling off. A hamburger/hot dog meal caterer by HyVee followed the award ceremony at the Old Mill. Thank you to the NFAA for the last-minute use of your facilitiy. Thank you to all the volunteers and sponsors for helping make the Olympics a success! 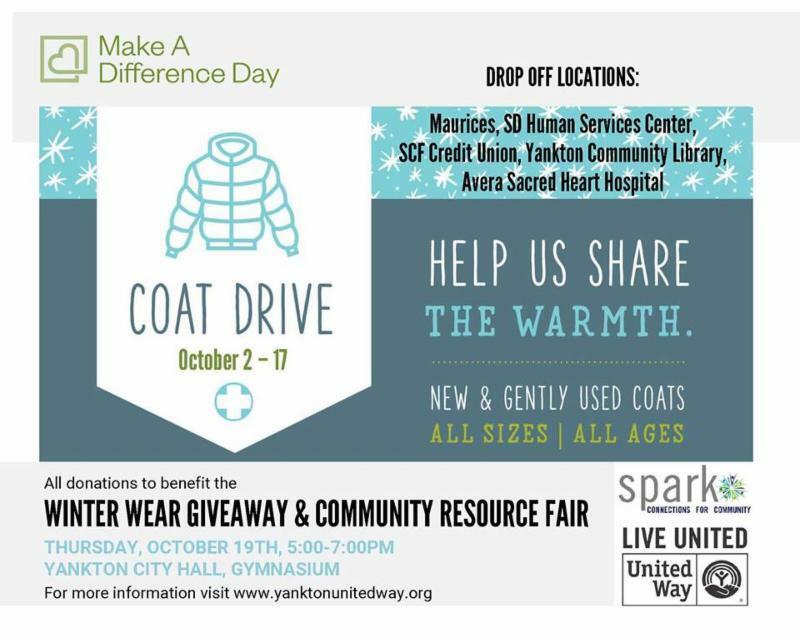 5-7 pm ~ 2720 Broadway Ave. Personal Development - Lisa Grunden shows how to eliminate the overwhelming feeling of utter chaos and lack of control to help both you and your business prosper. Hatch Furniture on 114 years of business! What an accomplishment!! EASW for being inducted into Dakota Rising Fellows. 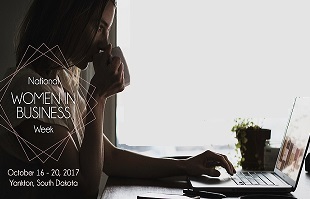 Dakota Rising is a two-year entrepreneur development program that helps rural business owners discover new ways to grow their businesses, themselves and their communities. Mount Marty College (MMC) is progressing its nursing program in a big way. 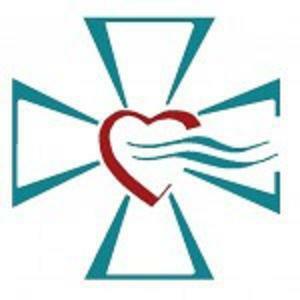 On Thursday, Regional President and CEO of Avera Sacred Heart Hospital Doug Ekeren announced that Avera Health would be donating $1 million to MMC to support upgrades to the Avera Science and Nursing Center. This will manifest in a renovation to the center’s 9,600-square-foot second floor to add in a high-fidelity simulation lab to advance education for MMC’s nursing students. 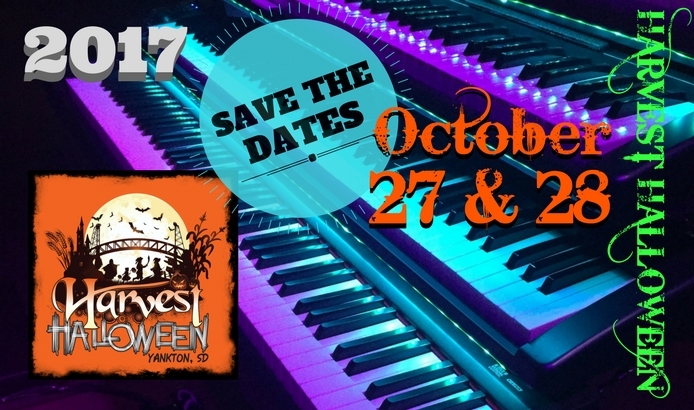 Mark your calendars for Harvest Halloween October 27 & 28 in the Meridian District downtown Yankton.